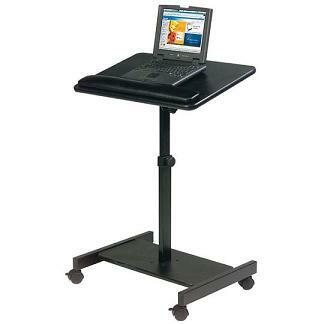 The Scamp is a versatile lectern that also doubles as a laptop stand. The Scamp Speaker Stand features a tilting platform (30° to -25°) with a padded wrist rest. Height adjustable from 27" to 43"